Ninety-three year old Boman Kohinoor comes to our table to take our order. Charming, suave and gentle, he is the owner of Britannia and Company, a Parsi restaurant founded by his father, Rashid Kohinoor, in 1923. His son, Romin, is the chef. 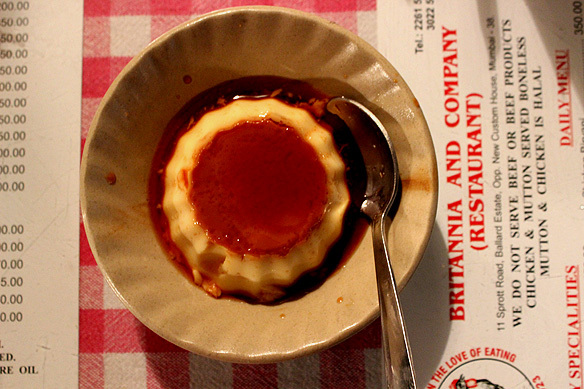 Britannia and Company has remained virtually unchanged from when it was set up 92 years ago. The peeling paint, crystal chandeliers and Polish Bentwood furniture within are evocative of another era; the Iranian flag draped across the side wall a proud acknowledgement of the restaurant’s heritage. It would be fair to say that the restaurant is driven by emotion rather than profit. The nominally priced meals could easily go for small fortunes apiece, taking the restaurant’s global repute and heritage into consideration, but the Kohinoors are happy selling them for a few hundred Rupees instead. 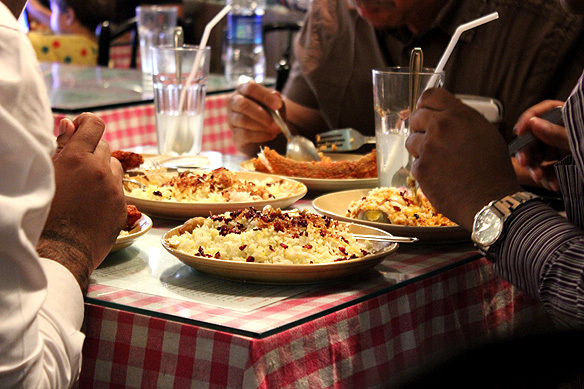 The family-owned eatery on a quiet street in colonial Ballard Estate opens only for fours every day to a packed house and long queues. If you are not eating you have to leave. Its patrons come from far and wide, from the office crowd in the Fort District to Parsi NRIs on holiday yearning for a taste of home. My favourites: Berry Pulav, Britannia and Company’s signature dish (Rs. 300 – Rs. 450), Caramel Custard (Rs. 120), Rosy Raspberry. The barberries are to date imported from Iran. Home delivery service is available, but eating sit-in is an experience you don’t want to miss. 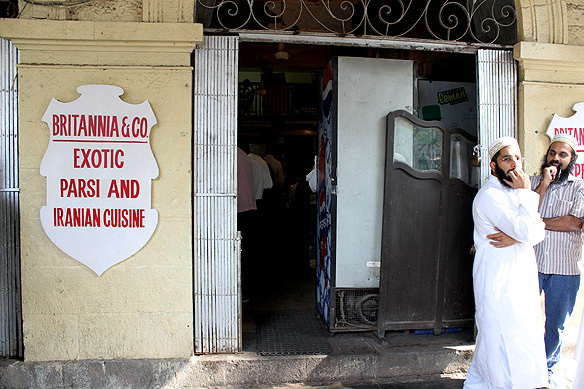 This entry was posted in Bombay aka Mumbai and tagged Ballard Estate, Berry Pulav, Boman Kohinoor, Britannia and Company, Caramel Custard, Fort District, Heritage, Iranian Food, Parsi Food, Parsi Restaurant, Rashid Kohinoor, Rosy Raspberry, South Mumbai by Rama Arya. Bookmark the permalink. Apologies, somehow missed your comment. 😦 Glad you enjoyed the post Shantanu, and thank you for commenting! 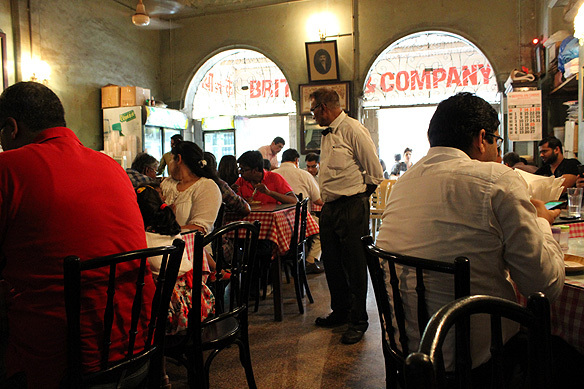 Britannia & Co. is one of my favourite places in Mumbai. You are missing a gem if you haven’t been to “Yazdani Bakery” in the Fort area. The interiors wear the old-age charm, the bun-maska and chai are great, and absolutely do not miss out on the apple pie, which gets over within an hour of preparation, within 5 p.m. The freshly baked bread and biscuits are to die for!